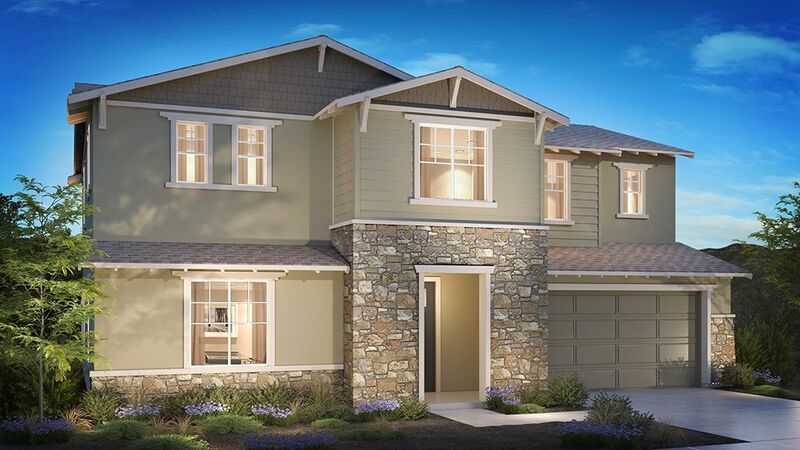 A New Neighborhood by Taylor Morrison New Homes in Santa Ana, CA Just 22 new Orange County homes will be offered at Avery at the Grove. Enjoy a central location to major Orange County & southeast Los Angeles employment centers and acclaimed Tustin USD schools. New build Santa Ana homes are situated with immediate access to three major freeways (5, 22, 55) to provide an easy commute to more than 5 million jobs.NO MELLO ROOS Download BrochureChoose from 3 Unique Open-Concept Plans Your new house in Orange County can be built from one of three charming elevation styles: Craftsman, Spanish or Traditional. Stretch out with outdoor living on large homesites averaging 6,000 square feet. A trio of floor plan layouts are available, with appealing structural options to personalize and extend the square footage and flexibility of your dream home.Plan One ranges from 2,526 to 2,707 square feet (approx)Plan Two ranges from 2,808 to 3,001 square feet (approx)Plan Three ranges from 3,208 to 3,405 square feet (approx)Come Home to Exceptional Standard Features Quality craftsmanship and designer details at every turn make all the difference. Inspired by you, every home we build is optimized for modern living. From spacious gathering spaces to well-equipped owner’s retreats, your new Santa Ana, CA house will be dressed to impress. Home Features:3 to 5 bedrooms2-car plus tandem garage2.5 to 3 bathrooms2 storiesMain floor guest suitesRelaxing master retreatsRoomy pantriesLavishly large kitchen islandsSpacious yardsGreat rooms/dining and kitchen–large family living spacesTustin USD Schools Help your children to build a strong foundation for their future.